一、This company was established with the lofty ideas of recognizing the brotherhood of man, promoting peace in the world, bringing happiness to everyone and practicing justice and humanity by means of foreign trade. 一、You should not think only of your own interests but aim at prosperity for coming generations at the sacrifice of yourselves. 一、You should aim at absolute sincerity and faithfulness, keeping all promises made. 一、You should refrain from lies, self-conceit, anger, haughtiness and idleness. 一、You must uphold integrity in every way and at any cost. A friend is a more valuable treasure than a blood relation. Through the cooperation of our friends, we can achieve much more than might be achieved by the use of money. Friendship is forever. 一、You should have a positive attitude to life, believing in God, everything is possible. You should keep the above resolutions with an iron will and provide a shining example to the world. ・Providing sincere high quality values. to maintain healthy environment through our business. fostering & ensuring our valuable human resources. We as MORIMURA BROS., INC. have been developing its business based on the corporate philosophy of the “Creed of Our Company“, which states foreign trade as a means to maintain world peace and develop the next generation. We have set a mission for the role we must play in society and a vision for sustainable development of society. Our goals are the same as those of the sustainable development goals (SDGs) adopted by the United Nations. 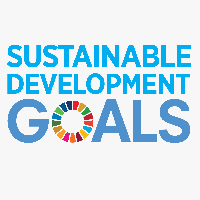 The 17 Sustainable Development Goals (SDGs) were agreed by all countries at the United Nations in September 2015 and constitute a shared global framework of development priorities to 2030. They aim to bring an end to extreme poverty, protect the environment, promote prosperity and well-being for all and encourage good governance and peace and security, and pledge “No One is Left Behind” through the implementation process. "Because you're doing business with people from other countries, where ideas and customs differ from your own, you're bound to run into difficulties, and you won't succeed until you overcome those difficulties"—To ensure that these words from MORIMURA BROS., INC. founder Ichizaemon Morimura VI would not be forgotten, the Japanese character for "difficulty" takes a prominent position in the company logo.